I started a food blog in 2009, with no knowledge at all of where it would lead me. 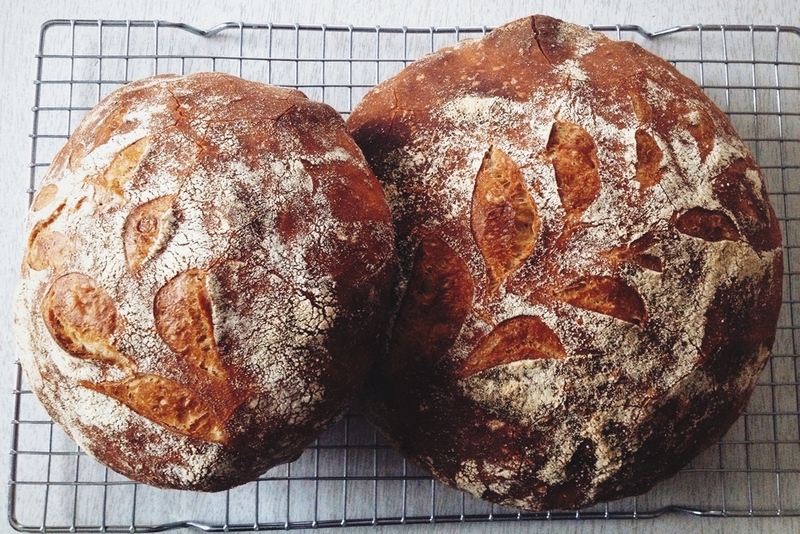 It took me deep into the heart of scratch cooking, it helped me reconnect with the home preservation I was raised with, and it made a bone fide sourdough baker out of me. What was at first just a creative endeavor became the way I now lead a kitchen-based life, making almost everything we eat from scratch, my hands providing for my family in a way I never knew I would. I make handcrafted food and will never stop learning about it. My book was published by Peter Pauper Press in October 2013. It is available on Amazon, some national booksellers, and from me if you're local! (October 2013, Peter Pauper Press)—Preserving foods yourself is empowering, and transports you back to the very moment of a food’s peak vibrancy. Imagine soaking in that sweet strawberry summery scent in the middle of winter! This Little Book of Home Preserving is packed with over 40 delicious recipes, with tips and tricks to get you started on your journey to discovering a whole new world of jams, jellies, relishes, mustards, marmalades and more. Satisfy your sweet tooth with a Blueberry Citrus Jam, ignite your fiery taste buds with Watermelon Cayenne Jelly, or top your favorite sandwich with Jicama Apple Cumin Kraut. Get ready to put up! I have had the pleasure of recipe testing for a number of authors and have officially hung out my shingle to accept more testing work for authors needing independent testing. I have a keen eye for detail, and a broad working knowledge of home cooking and baking to help you excel with your written recipes. I am also available for development work featuring your quality ingredients. I have a unique perspective on using ingredients in home cooking and baking and focus on accessible food that isn't fussy. Good ingredients deserve simple, excellent recipes!